Editors note: This is the first of a two-day series on Great Lakes water rates. 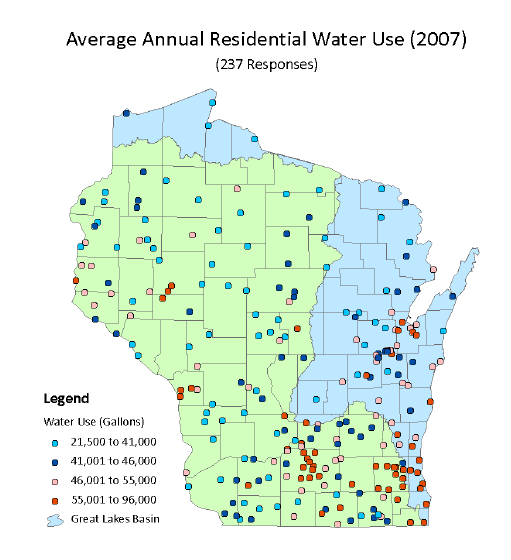 Residents of Waukesha, Wis. are paying for their excessive water use. The city drained its groundwater aquifers in 2008, which led to radium contamination and other water quality problems. Now the city must dig new wells or divert water from Lake Michigan – a possibility under the new Great Lakes Compact. 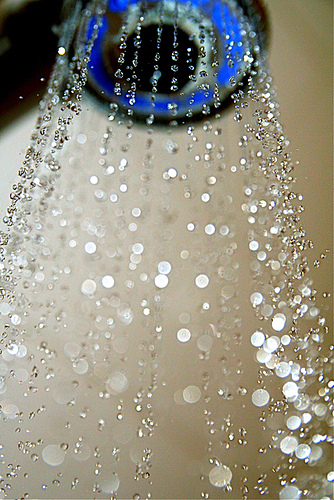 In the meantime, the city set higher rates to curb wasteful water use. It worked. The amount of water pumped from wells decreased 15 percent from 1998 to 2008, according to a report from the city’s conservation program. “People are taking measures to get better water efficiency,” said Nancy Quirk, technical services manager for the Waukesha Water Utility. Waukesha isn’t the only Great Lakes city hiking the per-gallon costs of water to discourage water use. A Great Lakes Echo analysis of 32 cities in the region shows many are setting higher rates to encourage conservation, especially large metropolitan areas. Four cities from each Great Lakes state were examined. Fixed charges – those that remain the same regardless of how much water is used – and consumption charges – those that go up the more water you use – were compared between cities with like populations, which are more likely to have similar sized water systems. – More than three-quarters of cities set consumption-based rates. Half of those surveyed have block systems, where rates increase the more water is used. Of those cities, providers charge an average of $1.52 per 1,000 gallons for the first tier of use. – Out of the largest cities surveyed in states bordering the Great Lakes, Minneapolis, Minn. charges the most for per-gallon water use at $3.88 for 1,000 gallons, followed by New York City, N.Y. and Indianapolis, Ind. Detroit, Mich. charges the least at $.67, but has an increasing rate structure. – Out of the smaller cities, five don’t have rates based on consumption. Others have high monthly fixed charges, but low consumption fees. Minnesota requires large cities to set conservation rates; other states encourage them by touting the environmental benefits and the opportunity to save money. “Water pricing is increasingly becoming a tool for managing demand, with certain pricing options carrying more of an incentive for consumers to use water efficiently,” according to a regional water supply and demand report by the Chicago Metropolitan Agency for Planning. Nearly 85 percent of households nationwide get their water from public supply – that’s more than 240 million people using 43 billion gallons a day, according to the United States Environmental Agency. And as the population gets bigger, so will the need for water. Increased water use can lead to groundwater contamination and habitat degradation, according to the EPA’s WaterSense program. Since some water uses are necessary, conservation rates are meant to curb discretionary uses, said Jason Mumm, president of StepWise Advisors, a consulting company that specializes in water and sewage rates. Water rates can be confusing. Some utilities charge customers based on water consumption; others charge the same amount no matter how much water they use. Most combine these charges to cover the cost of doing business, Mumm said. With conservation rates, utilities experiment with ways to discourage the use of water. High consumption and low fixed charges are a good combination. Some conservation rates are based completely on water consumption. That’s the case in Chicago, where some water users only pay for what they consume. For conservation rates with combined charges, utilities base fixed fees on the size of the water meter. Cities set higher fixed charges for bigger meters because they allow for more water use. Rates based entirely on fixed charges encourage people to use more water, Mumm said. Users in Hornell, New York pay $260 per year, or $12 a month, no matter how much water they use, according to the Echo analysis. “If it doesn’t matter how much water is used, there’s actually an incentive to use more water,” Mumm said. Many providers are starting to use block rates, where consumption charges increase the more water is used, Mumm said. Increasing block rates have the same effect as rising gasoline prices. People purchase less gas when it becomes increasingly more expensive, he said. The same is true when the price of water increases: people start to conserve. A report from Waukesha’s conservation program shows the state's water use for 2007. “What you’re doing is trying to elicit a change in the bill for people who are using that amount of water,” Mumm said. These rates are more popular among larger utility systems. Nearly 25 percent of large utilities nationwide used block rates to charge for water in 2000, according to an EPA community water survey. About half of the Great Lakes cities examined currently have these kinds of rates. Of those cities, providers charge an average of $1.52 per 1,000 gallons for the first block of usage. Waukesha has an inclining block rate for different residential types. Single-family residences pay $2.05 per thousand gallons for the first 10,000. Families in duplexes and apartments pay that amount for the first 20,000 gallons. This rate structure, coupled with a city ordinance limiting lawn irrigation in the spring, helps keeps water consumption low, said Dan Duchniak, general manager of the Waukesha Water Utility. *The graphic of water rates in the biggest Great Lakes cities was updated for accuracy on June 10, 2010 at 3:12 p.m. EST. Conservation rates: Bad for business? Utility providers can lose money if rates aren’t set correctly. Be on the lookout for a “Catch of the Day” post about my methodology. I’ll include the information for all 32 cities. Can you provide the information for all 32 cities?